People who have better cardiovascular health in middle age live longer and spend fewer of their later years with chronic illnesses of all types. They also save money on healthcare costs. 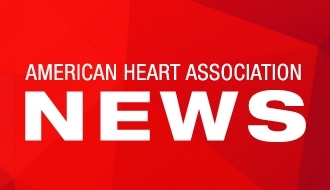 DALLAS, May 1, 2017 — People with no major heart disease risk factors in middle age live longer and stay healthy far longer than others, according to a 40-year study reported in the American Heart Association’s journal Circulation. In the first study to analyze the impact of cardiovascular health in middle age on the duration of illness later in life, researchers examined data from the Chicago Health Association study, which did initial health assessments in the late 1960s/early 1970s and has followed participants on an ongoing basis using Medicare health records. Researchers determined how many participants had favorable factors: non-smokers, free of diabetes and normal weight, blood pressure, and cholesterol levels; versus those with elevated risk factors or high risk factors. saved almost $18,000 in Medicare costs. “Health professionals need to let young adults know that maintaining or adopting a heart-healthy lifestyle makes it more likely that you’ll live longer and still be healthy enough to do the things you love to do when you’re older,” Allen said. spent 46.5 percent fewer of their senior years with heart disease. Allen noted that at the start of the study, when their average age was 44, only 5.6 percent of participants had all favorable factors. That data is even more grim than a 2011-2012 national survey suggesting only 8.9 percent of U.S. adults age 40-59 had five or more “ideal” health factors, according to The American Heart Association’s Heart Disease and Stroke Statistics - 2017 Update. The American Heart Association created My Life Check ® to educate the public on improving health by aiming to achieve seven health measures called Life’s Simple 7. It’s a composite measure of seven modifiable heart-healthy factors: cigarette smoking, physical activity, diet, body mass index, blood pressure, cholesterol and glucose levels. The study recruited people from Chicago worksites in 1967-1972 and lacks information on how chronic illnesses affected the quality of life of participants. Co-authors are Lihui Zhao, Ph.D.; Lei Liu, Ph.D.; Martha Daviglus, M.D., Ph.D.; Kiang Liu, Ph.D.; James Fries, M.D. ; Tina Shih, Ph.D.; Daniel Garside, M.S. ; Thanh Huyen Vu, M.D. ; Jeremiah Stamler, M.D. ; and Donald M. Lloyd-Jones, M.D., Sc.M. Author disclosures are on the manuscript. After May 1, view the manuscript online. Infographic Title: A Healthy Heart in Middle Age Could Add Almost Four Years to Your Life After Age 65 and Save You $18,000 in Medicare Care Costs. Graphic shows these benefits for middle aged adults who don't smoke or have diabetes, maintain a normal weight, have good blood pressure and good cholesterol.